It seems like there’s a holiday for just about everything imaginable these days. From National Best Friend Day to National Cheesecake Day, no matter where your interests lie, surely there’s a holiday to celebrate. But did you know that there’s also a National Taco Day?! Well, there is—and this year, it’s falling on October 4. As if you needed an excuse to enjoy some delicious tacos. Before we get into more detail about National Taco Day, let’s briefly recap the history of the taco as we know it. It’s widely believed that the first tacos were served up in Mexico in the 18th century, consisting of a tortilla wrapped around some sort of spiced meat. Then, in the 19th century, it’s believed that Mexican immigrants first brought tacos into the United States (most likely to street vendors in Los Angeles). From there, the popularity of the taco grew exponentially, and the rest is, well…history. With National Taco Day coming up on October 4, now is a good time to consider how you’ll celebrate. Maybe you’ll take it easy and make some tacos from the comfort and convenience of your own home. Brown a little taco meat, chop up some veggies, and maybe cook some rice on the side. Sounds good enough, right? But what if you don’t want to bother with prepping, cooking, and cleaning up? Are you destined to run through your local fast food drive through for some non-authentic, Americanized tacos? Nope! You can stop by Macayo’s for some delicious, real Mexican tacos and save yourself the time and work. We have some absolutely delicious and spicy chicken tinga tacos on our new menu that our customers seem to love, but we’ve got plenty of other options for you to explore as well. And the best part (aside from the taste)? You won’t have to worry about cleaning up! Let our friendly wait staff bring you rounds of margaritas and yummy food as you enjoy National Taco Day with your loved ones. Celebrate With Real Mexican Tacos at Macayo’s! We’ve got 12 different locations for you to choose from, so no matter where you’re coming from, we’re sure you can find a location that’s convenient for you. Consider gathering some co-workers or friends together, or bring your family in for a day of celebrating the rich and delicious history of tacos as we know them today. 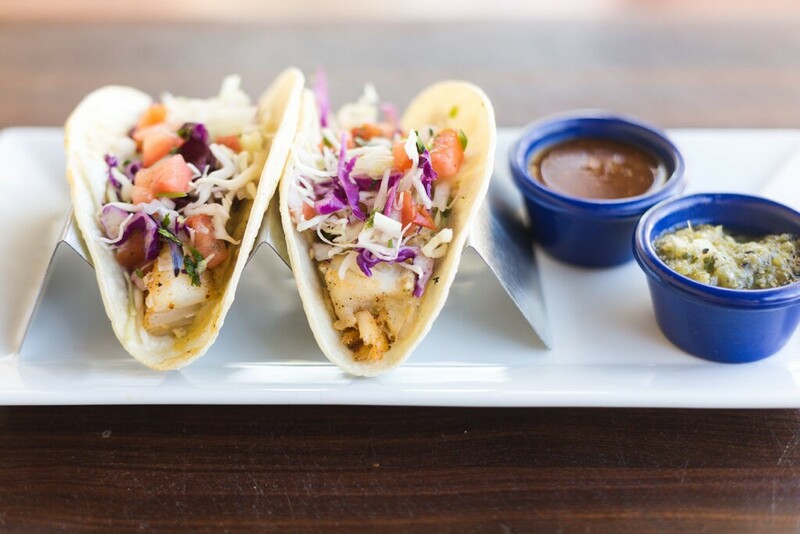 And of course, we won’t judge you too much if you choose to order a non-taco dish from our impressive menu. We’ve got lots of options for you to choose from regardless of what your taste buds may be calling for. Oh, and we’re always serving up our signature drinks, such as the delicious and refreshing Macayo Mule. Don’t let National Taco Day pass you by this year without allowing yourself to enjoy some authentic Mexican food in a fun, friendly environment. Just stop by Macayo’s for some real Mexican tacos, great service, delicious drinks, and an overall amazing time!